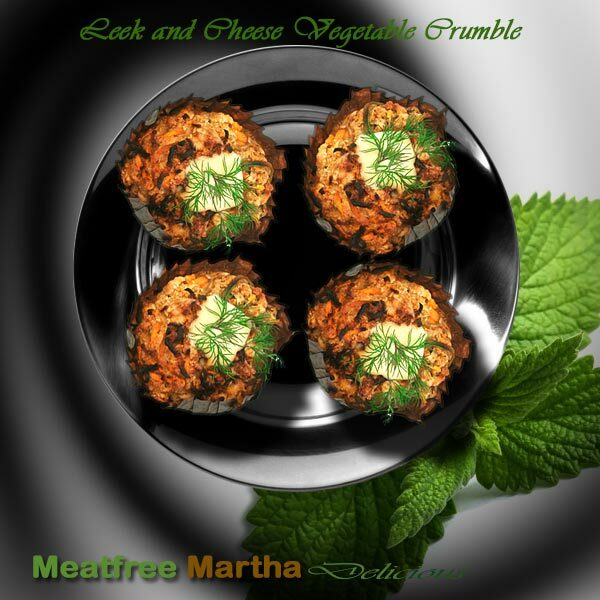 Meatfree Martha is a small, home business that cooks great tasting, colourful and imaginative vegetarian and vegan food using locally sourced, fresh and seasonal produce wherever possible. Each individual product is loaded with good quality ingredients all suitable for vegetarians. With lots of fresh herbs, unusual flavour combinations and alternative presentations every dish is something very special. The produce is sold ready-cooked. You can freeze it , eat it cold or warm it up in the oven. The perfect solution when you need a ready-made vegetarian dish. 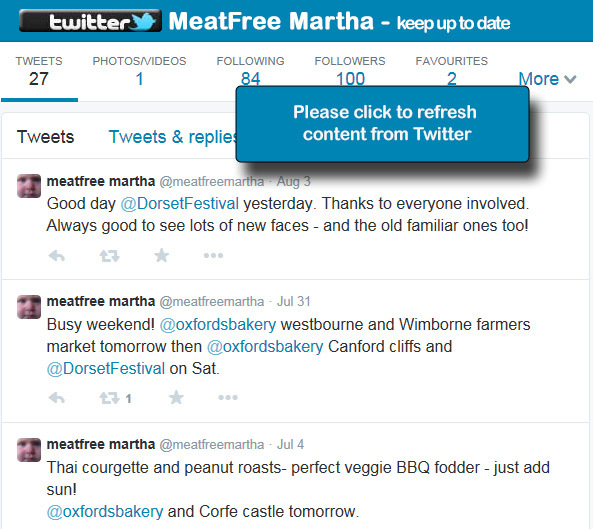 Meatfree Martha will continue to provide appropriate information regarding ingredients, but if you have problems with any of the major food allergens please check with us. Information will be available at each market. We take food allergies and intolerances very seriously and follow all of the correct procedures during preparation, cooking and serving but please remember that some major allergens are handled in the same kitchen as other foods. Meatfree Martha is registered with North Dorset Environmental Health Department and has been awarded level 5 in the National Food Hygiene Rating Scheme. (www.food.gov.uk/ratings). The food hygiene scheme will help you choose where to eat out or shop for food by giving you information about the hygiene standards in restaurants, pubs, cafes, takeaways, hotels, and other places you eat out. Supermarkets and other food shops are also included in the scheme. Each business is given a “hygiene rating” when it is inspected by a food safety officer from the business´s local authority. The hygiene rating shows how closely the business is meeting the requirements of food hygiene law. When you eat out or shop for food, you might see a sticker in the window or on the door, or a certificate on display, showing you the hygiene rating for that business.